Unfortunately, air conditioners do not last forever and there will likely come a time when your home air conditioner will need to be replaced. This is usually an unexpected expense, and even worse it usually happens during the hottest part of the summer. At Certified Appliance, we work hard to offer affordable new air conditioner installations to our customers & get the job completed as soon as possible. We do this by sending a qualified repair person to your home who is able to properly diagnose your air conditioner, and offer expert recommendations based on your needs. In addition to our competitive pricing, we also offer discounts and financing options to our customers. We carry new air conditioners in stock, which we are able to install in the same visit, even roof top air conditioner units! Call us today for to schedule or for more information on your air conditioner installation in Las Vegas. New Air Conditioner Installations In The Same Visit! We install new air conditioners faster than our competition. We are able install ground air conditioners in the same visit, and we can install rooftop air conditioners the same day. Our competition can take days and charge you thousands more for the same installation! So how do we do it faster and cheaper? We perform all custom metalwork, whereas other companies subcontract this work, delaying your installation by days! Relationships with local crane operators, so we can put a new AC on your roof the same day! 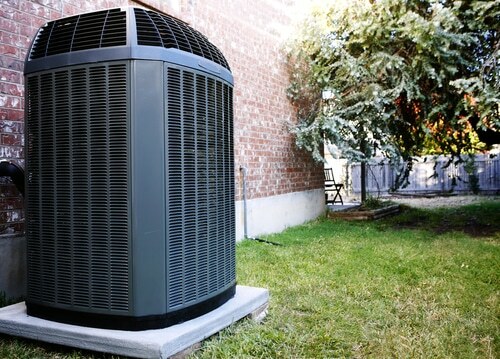 New air conditioners are more energy efficient than older units. This means that they will cool your home faster and save you money on your electric bill. As air conditioners age, they are also more likely to break. Rather than spending money on repairs, it may be more economical to invest in a new air conditioner that is reliable.